Do you know if your patients understand the informational materials that you give them? Over a quarter of American struggle with literacy: 42 million Americans cannot read and 50 million adult Americans can only read at 4th or 5th grade reading levels. 23.3% of surveyed Americans gave one or more of these responses. According to the PRC National Health Study, those with low literacy find it more difficult to access healthcare and achieve positive health outcomes than the general US adult population. The PRC National Health Survey also found that men, Hispanics/Latinos, those with lower incomes, those with a high school education or less, and those who are unemployed or unable to work had the most issues with literacy. 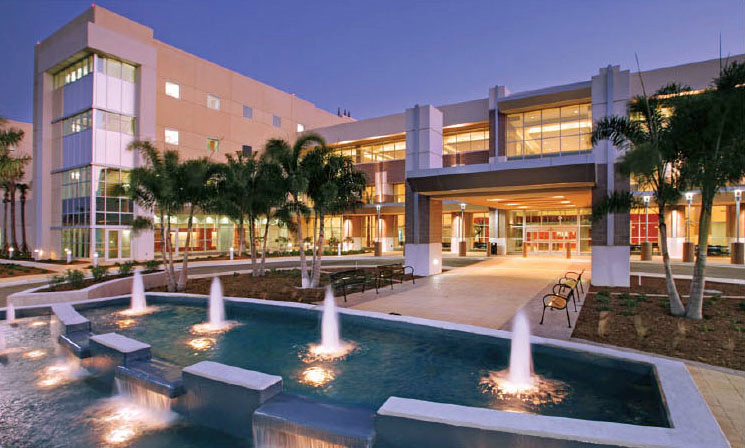 Lee Health is a health system consisting of four acute care hospitals and two specialty hospitals, located in Lee County, Florida where 13% of Lee County residents lack basic literacy skills. Lee Health recently partnered with CyraCom to conduct a readability focus group with Lee Health community. Lee Health gave consent forms written at a 10th-12th grade level to CyraCom to convert them to a 5th grade level, and then invited community members to participate in a group session to provide feedback on the new version’s readability and format. The focus groups rated Document A (below) a 5 out of 10 in terms of readability and clarity, and they rated Document B an 8 out of 10. Overall, the new version improved its readability by 60%. Direct visualization of the digestive tract, abdominal cavity, or lungs with a lighted instrument is referred to as an endoscopy. Your physician has advised you of your need to have this type of examination. The following information is presented to help you understand the reasons for, and possible risk of, these procedures. At the time of your examination, the inside lining of the digestive tract or lungs will be inspected thoroughly and possibly photographed. If an abnormality is seen or suspected, a small portion of tissue (biopsy) may be removed for microscopic study, or the lining may be brushed and washed with a solution which can be sent for special study for abnormal cells (cytology). Cultures can be obtained also to check for infection. Small growths can frequently be completely removed (polypectomy). Occasionally during the examination, a narrowed portion of esophagus/intestine (stricture) will be stretched to a more normal size (dilation), to relieve a blockage. In an endoscopy, they put a tool with a camera and a light down your throat. They do this so they can see the gut, or the inside of your belly or your lungs. Your doctor has told you that you need to have this kind of exam. We discuss this exam below. This is so you will know why we want to do this exam. We also discuss what the risks might be. In the exam, they will look carefully at the inside lining of the gut or lungs. They may take photos of these areas. They may see something that is not normal, or think there is something that is not normal. If so, they may cut out a small sample for study in the lab. Or they might brush the area and wash it with a liquid. Then they will take a sample of the liquid for a lab test to see if there are cells that are not normal (cytology). They can also take a sample called a culture, to check for infection. They can cut out small clumps of abnormal cells, which is called a polypectomy. Sometimes in the exam, they will find a section of the inside of your throat or gut that has shrunk and is now too narrow. They may be able to stretch it out closer to normal size, and stop it from blocking the way. The Centers for Medicare and Medicaid Services (CMS) estimates that avoidable readmissions comprise $17 billion of the $26 billion spent on return patient visits. Patients may not fully understand their diagnosis. Patients may be confused over which medications to take and when. Hospitals don’t provide patients or doctors with important information or test results. Patients do not schedule a follow-up appointment with their doctor. Family members lack proper knowledge to provide adequate care. Translating patient documents into a language or reading level that they and their family members can better understand may result in improved patient understanding, communication, and lower readmission rates. Want more information about how CyraCom can help convert your materials into simpler English? Email us at translations@cyracom.com. Want to learn more about Lee Health’s program? Read our case study here.